There is no "best" type of chicken wing. 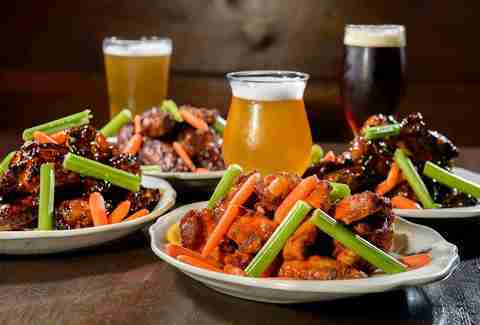 Great wings win hearts and stomachs with well-balanced flavors and quality meat regardless of whether they're naked, dredged, sauced, or smoked. 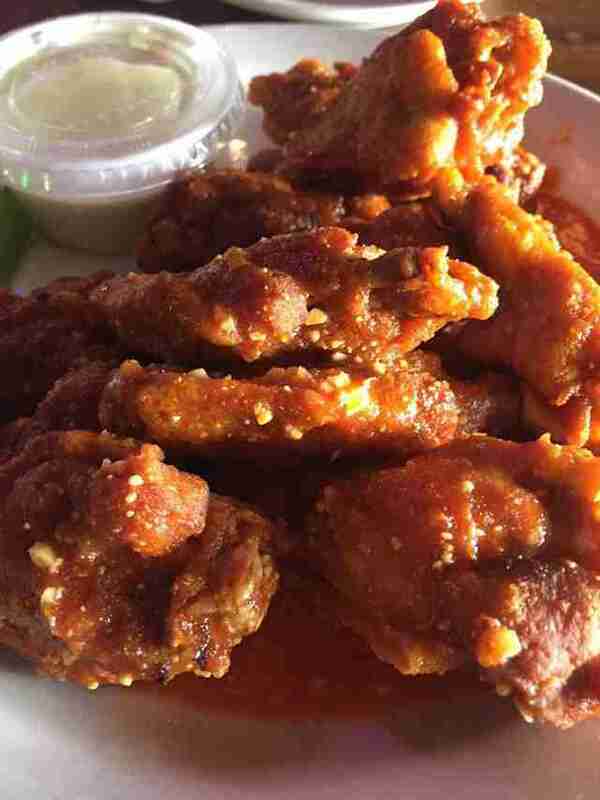 So instead of tracking down the best wings from Buffalo or Chinese restaurants or former Beatles, we tracked down the best chicken wings of any kind. Competition was fierce, but, in the end, these 21 distinguished themselves. This wood-paneled, brass-railed neighborhood joint admirably slings a solid beer list as people flock there for live music and sports (go Hoosiers), but the wings are unquestionably worthy of billing right alongside the ales on the sign. 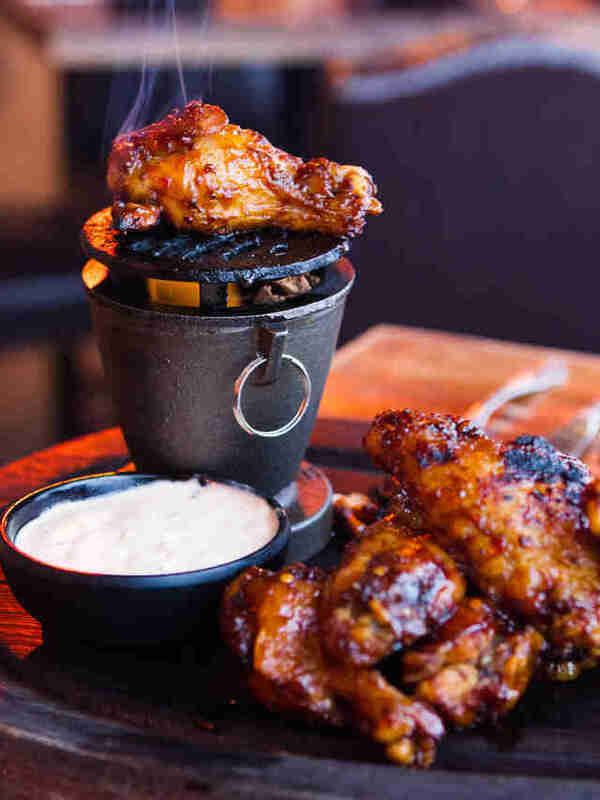 While you'll find an array of sauce options and heat levels, you're getting the Hermanaki wings -- a closely guarded secret recipe named for the owner that involves an addictive dry rub, a bath in the fryer, and a finishing flourish on the grill. They may not quite be "world famous" as the menu copy suggests, but that doesn't mean they shouldn't be. If not for Anchor Bar, "Buffalo wings" might well have ended up named for some other city where an inspired person decided to coat the oft-overlooked wing in an addictive, spicy sauce. Instead, it was Anchor Bar matriarch Teressa Bellissimo who was faced with a crowd of her son's friends looking for a late-night snack on a fateful night in 1964. She fried up a batch of wings that would have gone towards making stock, coated them in a satisfying, spicy sauce, and changed bar food as we know it forever. 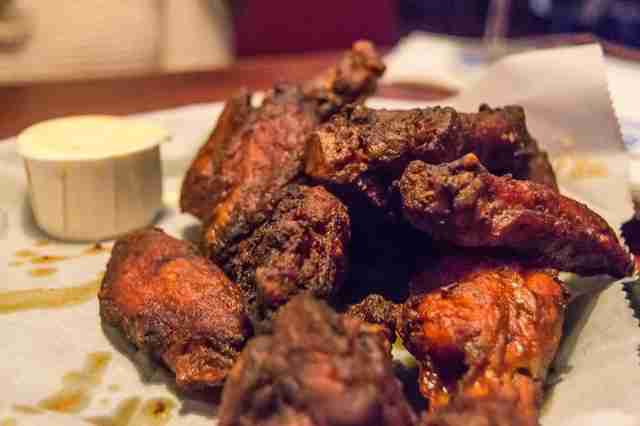 Being first doesn't always make you the best -- and we wouldn't necessarily label these the BEST wings in America, but they unquestionably have stood the test of time. You're probably surprised to see Idaho on this list. You're probably even further surprised to see a fancy Latin-fusion joint from Idaho on this list. But hey, when you're serving up tender, plump wings that perfectly straddle sweet and spicy AND providing a tiny little hibachi grill so that patrons can tailor them to your personal smoke/char/crispiness preferences, you're going to surprise some people. Just make sure not to leave your caramelizing wings unattended, lest you start a small fire and leave your fellow patrons unpleasantly surprised. With 10 world championships, the Big Bob Gibson Competition Cooking team -- formed specifically for BBQ-battling purposes -- has earned the place its rep as one of America's best BBQ joints. 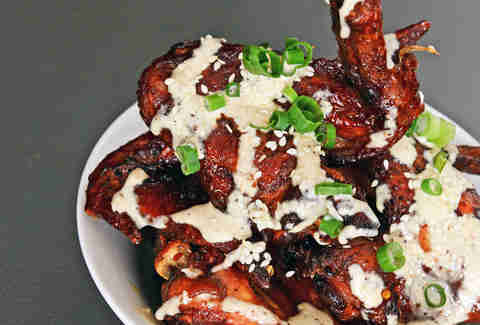 That iconic smoked chicken with white sauce, then, makes it all to easy to overlook Bob's excellent smoked wings. Giant, crispy, and available in sticky piles of five, 10, 20, or 40, they serve as the perfect vehicle for the rest of Gibson's blue-ribbon barbecue sauces and come tossed in your choice of mild or spicy. Obviously, they're perfect for tailgating, as is the 'Bama way. But they're just as good if you just, you know, eat them in the parking lot before you take a full platter of the other stuff home. 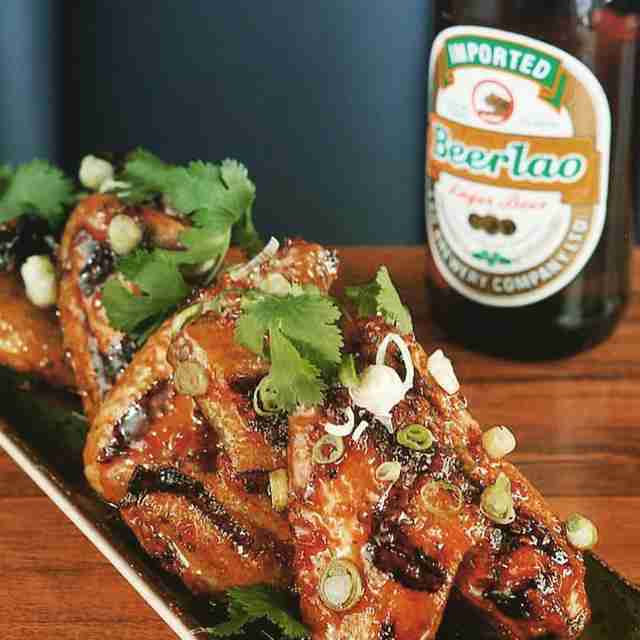 Truth be told, these magical wings first made their debut at far fancier sibling restaurant ChoLon, before they became a mainstay at this offshoot providing a more congruous backdrop for these sticky, finger-licking achievements in poultry. First, it's a large confit wing (one where the drumstick and wing are connected) that's transferred to the grill to get a fantastic char flavor before getting that caramel fish sauce. 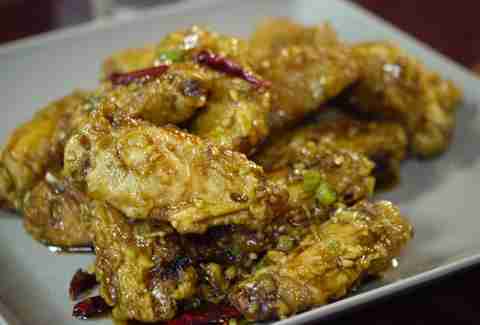 It's a sweet, savory wing with burnt sugar, caramel, fish sauce, and chili powder all commingled. Cho77 is actually in the process of taking their street-food game to new digs, but you better believe Denver wing lovers will be following them. The name says it all, really. These twice-fried Korean style beauties have a flawlessly textured skin that yields to a juicy interior and thoughts of tearing into another one before you've even finished the one you're presently dispatching. Get them BBQ style (a harmonious marriage of American and Korean flavor profiles) or go for the Seoul Sassy, a symphony of ginger-soy-garlic goodness. And if you're as hopelessly devoted to Buffalo as a poor Bills fan, they borrow their sauce from beloved hot dog stand Budacki's, and you'll find it makes for a hell of a combo with their frying game. The decision-challenged need not worry: they're used to mixed orders. 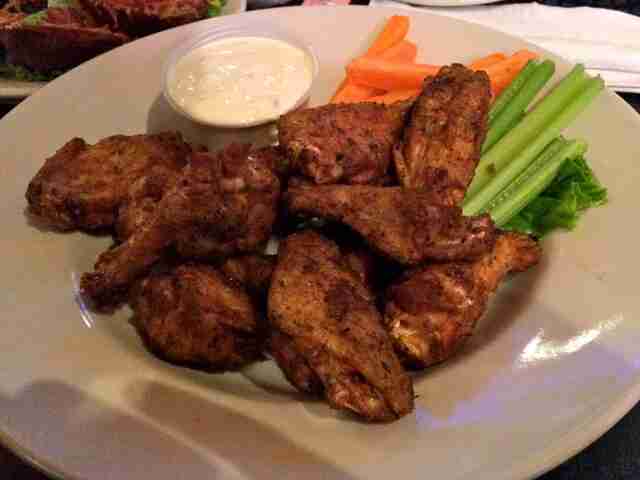 Everyone loves a comeback story, but they arguably love an incredible plate of wings even more. Luckily, Vietnamese chef Thai Dang offered both with the 2017 opening of HaiSous, his first restaurant after the actions of an unscrupulous business partner forced the closure of his much-lauded prior restaurant, Embeya, at a tremendous financial cost. But enough about the past. Let's talk wings! These whole wings sit in a garlicky brine before being twice-fried, coated in a sticky, caramel-y fish sauce, and topped with even more flavor enhancement in the form of fried garlic and shallots along with some green scallions. You will undoubtedly come back. 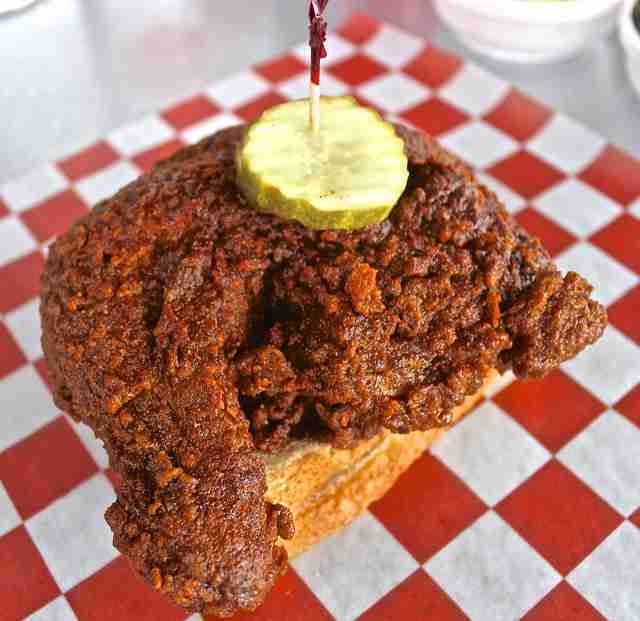 When you visit Nashville, you go to Prince’s or Hattie B’s or, these days, even fancier spots like Acme, and you get some type of hot chicken -- that spicy dry-rubbed, battered, and deep-fried poultry that is as synonymous with Music City as cowboy hats and sweltering humidity. 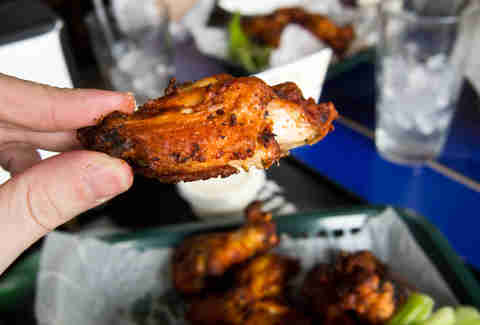 But once you’ve gotten that basic fried bird, move on to Hattie B’s platters of mouth-tingling whole wings. 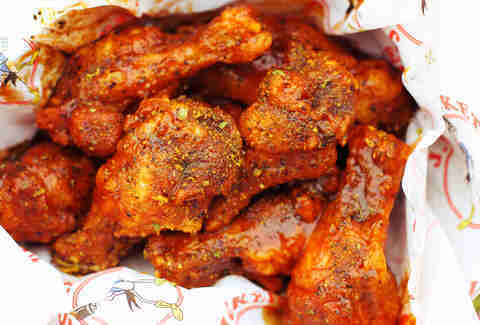 After they come out of the deep-fryer, the wings bathe in a mixture of oil and a paprika-cayenne-spice explosion. The result? The flavors soak deep into the crispy bird. 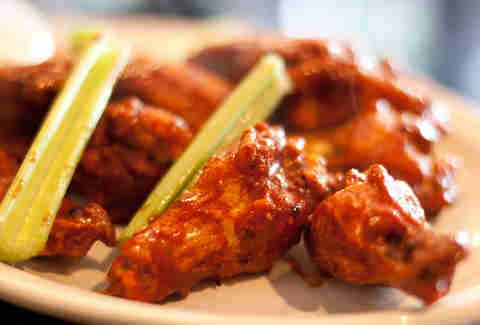 Order ‘em Damn Hot with blue cheese and let your tongue dance with as much of that heat and flavor as you can handle. In 1982 a guy named Paul Juliano opened a rickety chicken wing joint in midtown Atlanta, not far from Georgia Tech. He named it J.R. Crickets, and like any true visionary would, he branded it with a logo of an upright Caucasian peanut pretending to be a cricket in a tux jacket and no pants. Thirty-five years since Paul Juliano opened is rickety chicken joint in midtown Atlanta, his wings remain the stuff of legend. A mention on Donald Glover's Atlanta for a mythical flavor called "lemon pepper wet" only enhanced the profile. The classic Buffalo are unfailing, the fries are nice and salty without overkill. The skin holds up to the sauces, whether it's the thick BBQ, wet teriyaki, or lemon pepper dry (rubbed). Charm City favorite Kisling's has been churning out its legendary wings for 20+ years on the back of an owner who cooked up its original, mildly spicy wing sauce that's so popular he started bottling it. It's hot but still enjoyable, so there's no need to cry for your mom and drink a gallon of milk. You can also go straight-up Buffalo with the sauce, or opt for the honey Old Bay (you knew it was coming) sauce, which builds on the classic crab seasoning with a hit of honey to sweeten the proceedings, all while retaining those delicious flavors from said Old Bay. If you're one of those people who doesn't know a Cal Ripken from a Billy Ripken, Old Bay is made mostly of red pepper flakes, paprika, and celery salt. And it's damn good on wings. 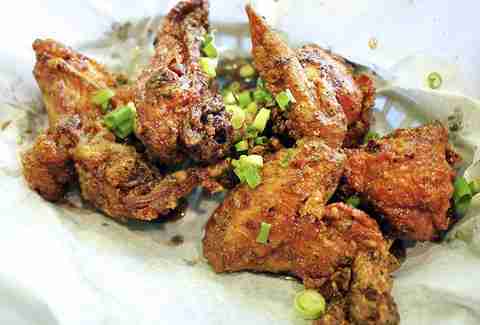 The DC area was the starting point for Bonchon's American invasion, so they know a thing or two about Korea having a way with wings, and many area chicken connoisseurs call KoChix the best in town. You can opt for wings, drums, or a combo, but no matter what bone structure you opt for you're getting a craggy, perfectly fried exterior that's perfect for soaking up sauce. A note on that front: The hot honey spicy here is not known to actually contain any form of narcotics, but you could be forgiven for thinking otherwise. Top Chef vet Edward Lee’s sibling to his much-acclaimed 610 Magnolia sports an array of animal skulls and antlers adorning the white brick walls, but soon enough the only animal remnants capturing your attention will be wing bones. But what happened to the meat? Well, it was tenderly smoked before getting crisped up and tossed in some chili-lime sauce, sprinkled with sesame seeds and scallions, drizzled with Alabama white BBQ sauce, and brought to your table. You tore through them like a maniac. Then you blacked out. Get another order and try to remember this time, huh? New Yorkers love to complain about the disappearance of the "old New York", mostly because they want to give you the impression that they remember the city in its former state, despite the fact that they're about your age. That's called "being misleading", and it's the precise opposite of everything Old Town (established 1892) stands for. 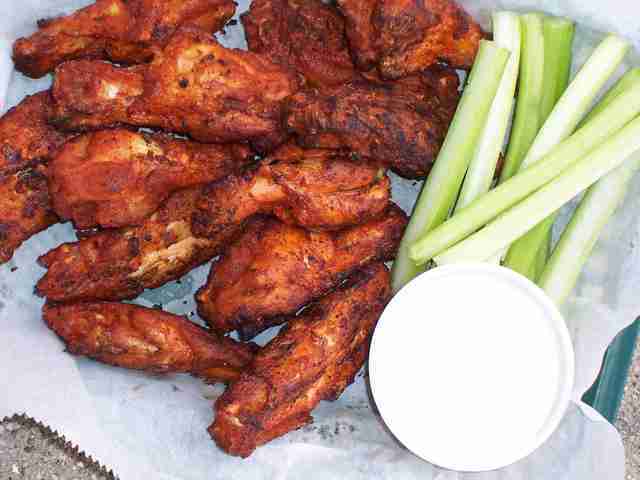 Its wings are nothing if not straightforward -- bathed in traditional Buffalo sauce, they're neither dredged nor spicy, and the meat, though ample, isn't as abundant as at some other spots in this story. Nevertheless, they're damn delicious, and this ancient Gotham tavern's unparalleled charm (even its urinals have won accolades!) makes them a national treasure. 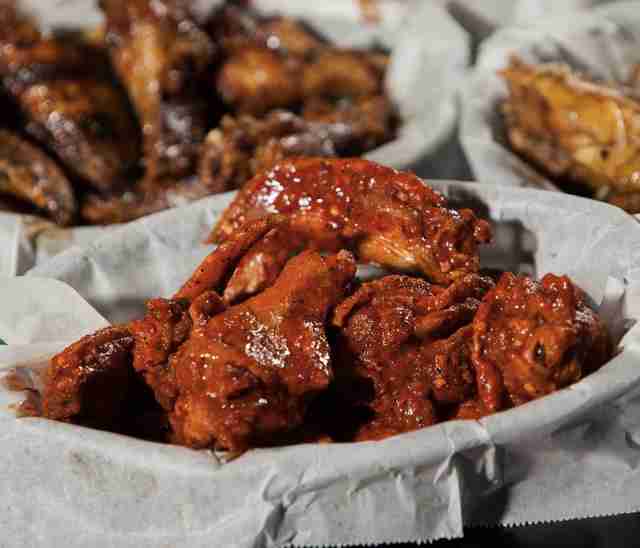 Getting your wings at this Milwaukee joint takes time… mainly because each batch is prepped to order, and, instead of taking a dip in the fryer, they’re fired up on a grill. Luckily, the place is old-school gritty/charming enough that you won’t care. Order at the bar, snag a few beers, and kick back in the cozy neighborhood joint. 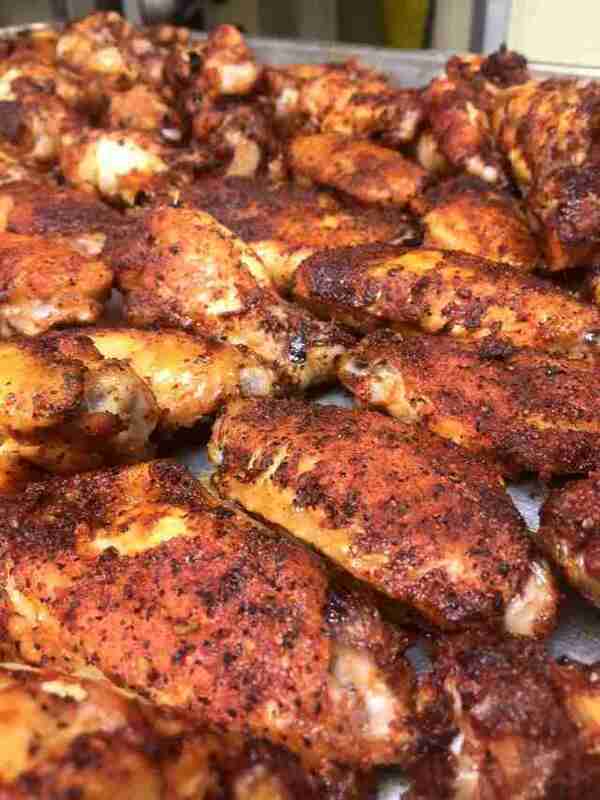 In 30 or so minutes, the cook himself will deliver some of the best wings in the Midwest, grill-charred and loaded with flavor thanks to a secret dry-rub that manages to penetrate every fiber of the meat. If the Packers are playing, your wait’s going to be considerably longer. Thank heavens for good company. And Leinenkugel. Portland chef Andy Ricker’s pretty famous: he’s toured Thailand with Bourdain, written a book, and even starred in his own documentary. 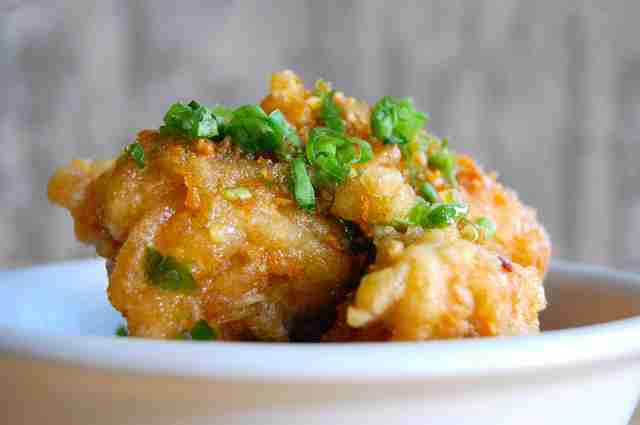 But the chef has nothing on his most famous creation: Ike’s Fish Sauce Wings. They’re basically meat candy. Giant, full-wing meat candy. A marinade of fish sauce and sugar, these Vietnamese wings get a dose of garlic after the fry, coating the crispy, caramelized skin with an explosion of flavor unlike anything you’ve ever had. Get them with extra spice and a very cold beer. The Richmond has long been an Asian enclave in SF, a place many went after leaving Chinatown and Japantown, which are both closer to the city center. And so you see places like San Tung all over that neighborhood, with Chinese characters in the sign and on the windows and that typical takeout Chinese menu with the numbers. But the wings at San Tung are by no means typical, and you can usually tell by the crowds lining up for lunch and dinner. 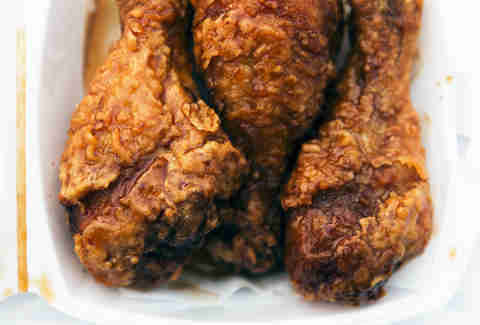 So do yourself a favor and get the 72: the original dry-fried chicken. They have a wet version as well, but those don’t compare to the simple, ginger and garlic crunch of the dry ones. Though every dude who moves to South Beach for a winter and changes his Facebook hometown to "Miami" claims to be a 305 local, no one can truly claim that title until they've spent an entire Sunday crushing wings at Sports Grill. Each of the upscale sports bar's seven locations serves up these South Dade staples that are flame-grilled and THEN fried, giving the little fall-off-the-bone suckers a savory flavor unmatched anywhere in South Florida. The must-order sauce is the sweet-and-spicy Dale sauce, an addictive flavor combination of chiles and barbecue sauce named after a longtime Sports Grill regular named Dale (though most would assume it's pronounced "DAH-lay," after Mr. 305 himself). A Bricktown institution housed in one of the Motor City’s oldest buildings (well, at least the original location is… they’ve got four now), Sweetwater ditches the practice of offering a bajillion different sauce options to specialize in only one, and it’s frequently heralded as Michigan’s best wing. Using meat straight from the Eastern Market, each wing takes a 24 hour marinade bath before arriving at your table cooked to perfection: not too saucy, with spice, salt, and vinegar permeating every bite. 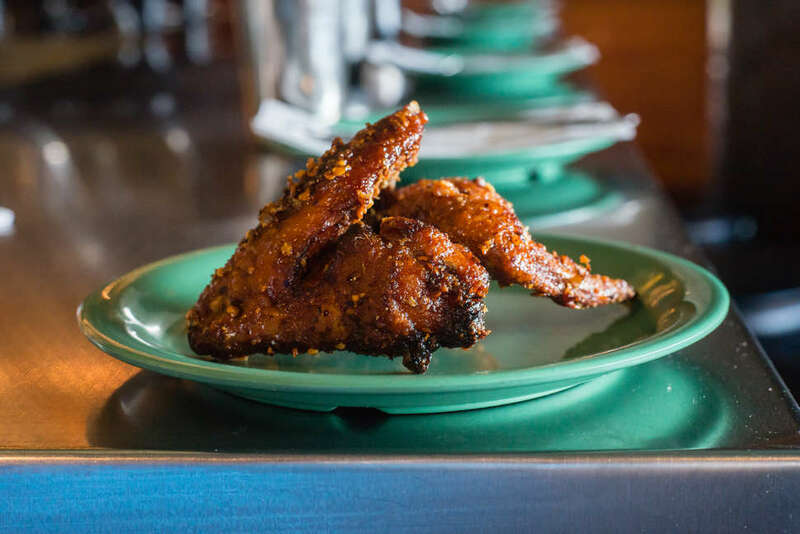 Prolific James (and actual) Beard'd chef Tom Douglas clearly loves wings, as the hot pepper ones at his famed Palace Kitchen have long been considered Seattle's best. 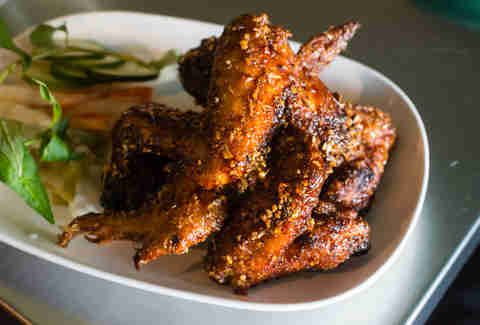 But he's topped them at his newest restaurant, where the Asian-inspired wings come in two flavors (salty caramel, serrano & garlic, and smoked chili with kimchi ketchup) and are fried about the same number of times you actually watched Wings: twice. The building housing The Tavern turned 100 a couple of years back, but in more recent news, the venerable hangout received a bit of a makeover after changing ownership hands earlier this year -- luckily, said new owners knew better than to mess with the wings. The Tavern has a singular -- wingular? -- focus that's manifested itself in the "Amazing White Wings" which are wrapped in bacon and jalapeños and covered in house-made hot sauce (there are also traditional Buffalo wings tossed in that sauce, but who are you kidding?). 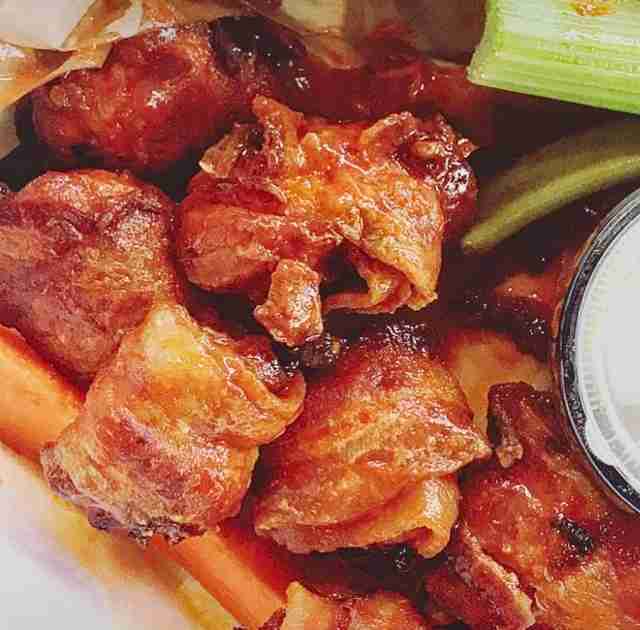 Whether you have to fight the Downtown lunch crowd by day or dodge a whole kickball team's worth of 20-somethings in neon T-shirts by night, these wings are definitely worth it.